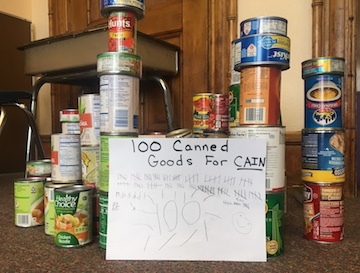 New School Montessori (6-9) students from Sophia and Jean’s classroom celebrated their 100th day in school by challenging themselves to collect 100 cans to donate to CAIN in Northside. 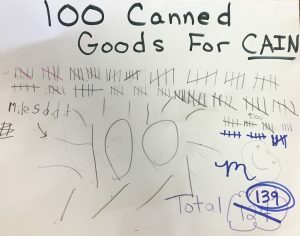 These 1st through 3rd graders have been counting Montessori beads since they were 3, so they were quite adept at organizing their work into units of 5 to track their progress. And the result? 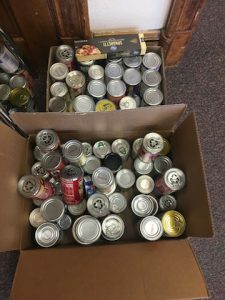 They surpassed their goal, contributing 139 cans to those in need. 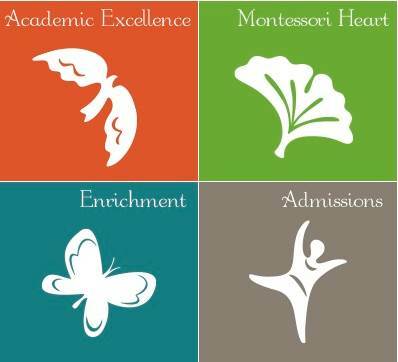 Dr. Maria Montessori would be very proud!